At the end of November, Brooklyn-based indie game studio Sortasoft launched a Kickstarter to raise funds for Meriwether: An American Epic. 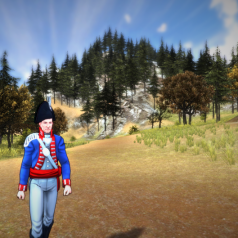 Inspired by a trip taken along the Lewis and Clark National Historic trail, Meriwether allows players to command the Corps of Discovery as Meriwether Lewis and voyage across North America. While watching their Kickstarter video (below, and definitely recommended! ), I was struck by the level of dedication the development team had in representing both the history and the characters accurately and deeply. For this very special post, I am joined by the Founder and Director of Sortasoft, Josh DeBonis, and the historian that has worked with Sortasoft on Meriwether, Barb Kubik. They were kind enough to answer questions that I had (via email) about working together to create a game that will be both enjoyable and educational. At the time of this posting, Sortasoft has 25 more days to raise about $24,000 – as with any Kickstarter project, please consider contributing. They have a great “Scholarship Edition” award where you get a copy for yourself and a bonus copy for your favorite school, library, museum, what-have-you! 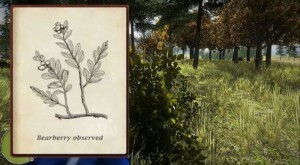 Rebecca: At what point did Sortasoft decide to bring a historian into the development process? Josh: We brought Barb on very early in the process. We initially contacted her because we needed a historian to apply for a grant, but after speaking with her about the game, it was immediately clear how important she would be to the vision of this game. The most surprising thing about working with Barb is how readily she embraced the game-making process. Barb isn’t a “gamer,” so it’s amazing how quickly she’s caught onto the value of what games can bring to history, and then leverage her knowledge of history to the development of Meriwether. Rebecca: Did anything about working with Barb Kubik surprise you [Josh] or the other designers? Josh: Since we come from two different worlds, there was a bit of an adjustment period, in which we had to learn to think like an historian, and Barb had to learn to think like a game developer. We made sure to give each other feedback on our process to help facilitate this. As a game designer (and producer), much of my job is making snap decisions based on gut instinct, but that’s quite the opposite of Barb’s process, which relies on turning to primary documents for the answers. Rebecca: It’s exciting to think that when players participate in this game that they are “re-living” history. But history isn’t what happened (although we’re interested in that), it’s how we interpret the extant evidence. In what different ways are excerpts from or representations of primary source documents and artifacts included in the game? Josh: In Meriwether, when Lewis observes new flora, fauna, places and people, he creates a written entry (often with an accompanying sketch) in the “wunderkammer,” which is an in-game database of things you have collected. Also, as missions are assigned to you, and when you complete them, they are entered into a narrative journal which models the style of Lewis’s actual journals. Additionally, in travel levels, one of your goals is for Clark to create a map of the area. You must specifically map out landmarks like tributaries, mountains, and islands, as well as name them. Observations contribute to the “Wunderkammer,” or Cabinet of Curiosities, and build your knowledge of the 1800s. Oral histories and artwork [i.e., painted buffalo robes depicting important events, or a year’s calendar] from various tribes tell the story from their point of view, as well as the many maps tribal leaders made for Captain William Clark, which he in turn copied in his journals. In addition, we delve into countless “contemporary” works, from the art of Karl Bodmer , to the ethnographies by Verne Ray [Chinook and Cowlitz] and Gilbert Wilson [Mandan/Hidatsa], studies of slavery at Monticello [Lucia Stanton], of the various members of the Corps of Discovery, and of specific topics-medicine, clothing, and equipment, for example. Rebecca: Were there any misconceptions that you or other members of the development team had before starting on this project that were addressed through the creation of the game? Josh: There are many details of the expedition that are critical to its portrayal in a game that are not addressed in most accounts of the expedition, and I had not considered before. For instance, I went through their journals and charted out when the two captains were each ashore vs. with the “fleet”, looking for patterns in this behavior that could be systemically represented in the game. It became clear that at least one of them was always with the boats, and they tended to alternate every couple of days, depending on where they were and what they were doing. Another way my thinking has changed is the understanding of how culturally distinct each of the Native American tribes they encountered were. Because a role-playing game facilitates adding depth to the story through non-player characters (NPCs), we are using these NPCs to show these cultures in a detailed way that’s not typically possible through a traditional narrative account. Rebecca: Josh, what advice would you give to other game designers hoping to make a game with an historic setting or subject? Josh: My advice for other game designers: familiarize yourself with all the literature on the topic and learn to consult primary sources. Make a great game, and align the game’s mechanics with your understanding of the past. Rebecca: What do you and the development team hope that people might learn from the characters and story that you’ve worked so hard to represent? Engage players of all ages, learning abilities, locations and cultures in our nation’s early history. Encourage players to see history as a “we”–in other words, just as York, or Pierre Cruzatte [a French-speaking engage], or John Potts [a German-speaking immigrant and miller] could be a part of this journey, so too could many of the people who play Meriwether. Help players learn the importance of teamwork, collaboration, and leadership. Help players realize everyone can bring an important set of skills to a journey, or a project, or an adventure, skills that help make it a success–carpenters, fishers, gathers, and hunters, interpreters, boat-builders, writers and map-makers, and etc. And most importantly, [help players realize] that history is engaging, fun, exciting, and interesting. Rebecca: Is there anything else you would like to share with us? People learn in so many different ways! If we can use a game like Meriwether, that is historically accurate and culturally respectful, to engage young people in history, we should do it! The most important thing we, as professionals can do, is help create games that are historically accurate, look at different sides of the story whenever possible, and tell the story with respect to other cultures! There is no excuse for errors, cultural disrespect, inappropriate images, and casual research. Do it right, and do it well, and do it in a game! If we can engage students in history today, they will become, I hope, the adults of tomorrow who preserve historic sites, write and produce well-written and well-researched historic books, games, and movies, and show respect for all kinds of stories. Many thanks to Josh and Barb for answering these questions and to the designers at Sortasoft for their hard work on Meriwether! I look forward to playing the game and learning more about the Corps of Discovery (I really want to see how far I can get by being melancholy the entire game). Again, I encourage anyone who agrees that it’s important to create engaging and culturally respectful games about history to please consider contributing to the Kickstarter.